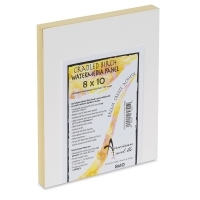 American Easel WaterMedia Panels are a perfect surface for any watercolor medium. They're ready to use — no prep work required. High-quality birch panels are triple-coated with an acid-free, archival acrylic formula. The result is a lightly textured surface that resembles cold press watercolor paper. 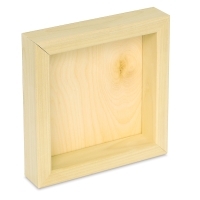 (For a hot press feel, sand the surface with 480 grit sandpaper.) Colors appear vibrant wet and dry, and the surface won't chip. 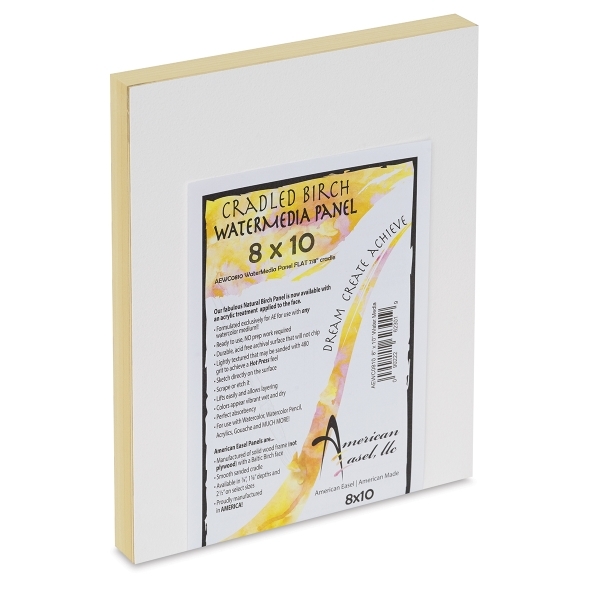 You can scrape, etch, and sketch directly on the durable surface. 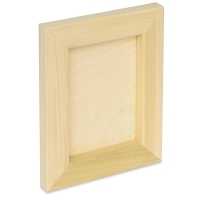 Choose a traditional profile 7/8" painting panel or a gallery profile 1-5/8" panel. 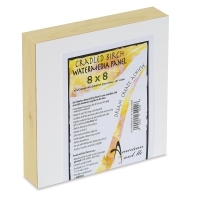 WaterMedia Panels, Traditional Profile 7/8"